For over 150 years, dentists have been using silver-mercury amalgam fillings to restore decayed or broken teeth. This was an economical alternative to gold which was too expensive for most people. Many people have had silver fillings placed into their teeth because they had “cavities”. They can be used to replace small or large amounts of tooth structure lost through decay or fracture. These silver fillings are composed of silver, tin, mercury, copper, and other metals. The silver amalgams available have a life expectancy of 14 years with a plus/minus deviation of 14 years. They can last a long time or need to be replaced within a year of when they were originally completed. As with resin restorations, the smaller the filling, the longer it can last. Amalgams have done their job well, although we have had to live with their weaknesses and disadvantages. Most patients complain about the esthetics. It is impossible to have them look natural, and the appearance deteriorates as time goes by. This is easily seen as soon as a patient opens his or her mouth and is usually a source of embarrassment for the patient. If the surrounding enamel is thin, the gray/black color of the metal will show through. They can make the tooth turn dark. They Picture 8 add no strength to the tooth (unless bonded). They weaken the tooth because they have a higher expansion/contraction ratio than the surrounding teeth which can lead to cracking teeth. These forces can, after time, cause the tooth to fracture. 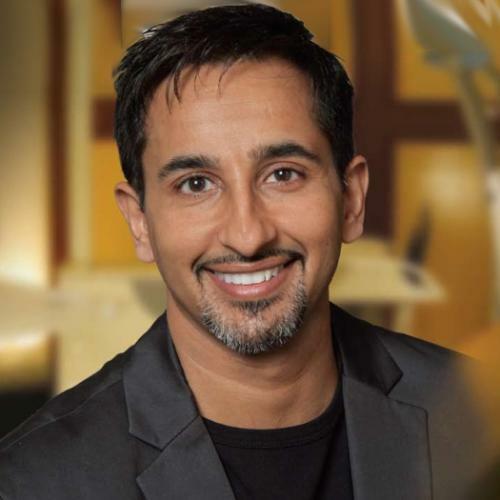 They are not considered a conservative restoration because they require more tooth structure to be prepared (drilled) than is actually necessary to remove the decay. This extra drilling is strictly to allow the retention of the restoration. At Wheaton Cosmetic Dentistry we provide you with composite (resin) fillings that are made of a porcelain-like material that actually bonds to the tooth for a tight seal. The resin is made up of glass particles in a plastic matrix. We bond the putty-like material to the tooth with a high-intensity light. This hardens the material and allows it to be shaped and polished for immediate use. They are strong and stain-resistant, and they are color-matched to the natural tooth, making them virtually invisible. Once completed, the tooth has a natural appearance and is actually stronger than before due to the strength of the adhesive agent used to bond the resin to the tooth. 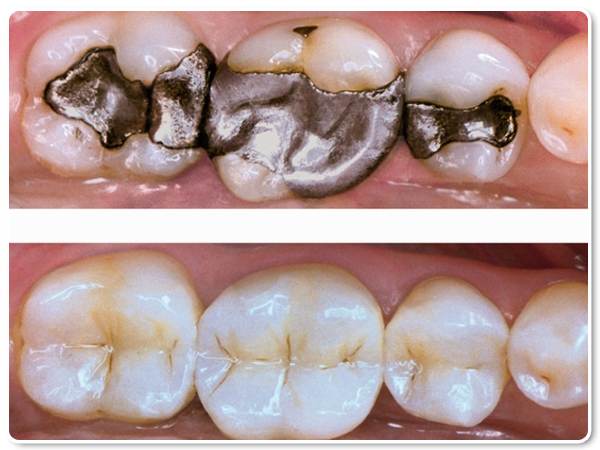 Resin restorations not only look better, but they are stronger and last longer than the old silver-amalgam fillings.